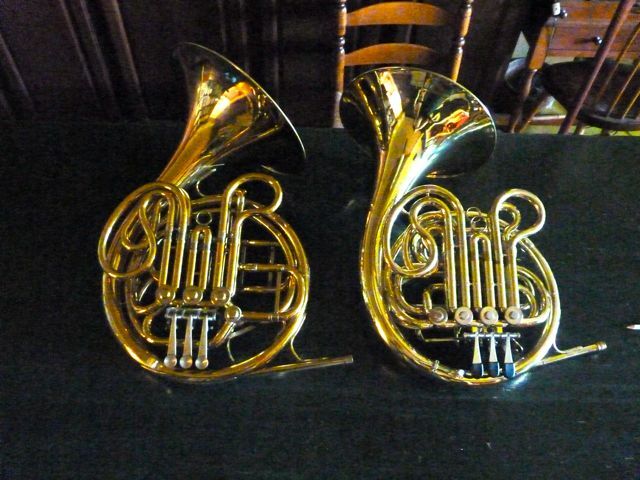 Mid July Horns for sale. Oh, boy!! more stuff…. 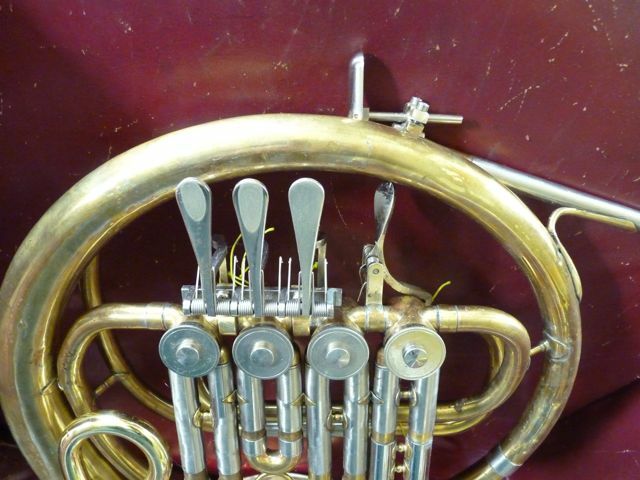 The horn can be played as a standard YHR 321, except you finger with your right hand. I used the different #1 crook because I found the factory straight crook awkward to dump with my left hand. I assume that, with time, this would feel more natural, but for now, comfort over the factory 321 crook #1 crook…. 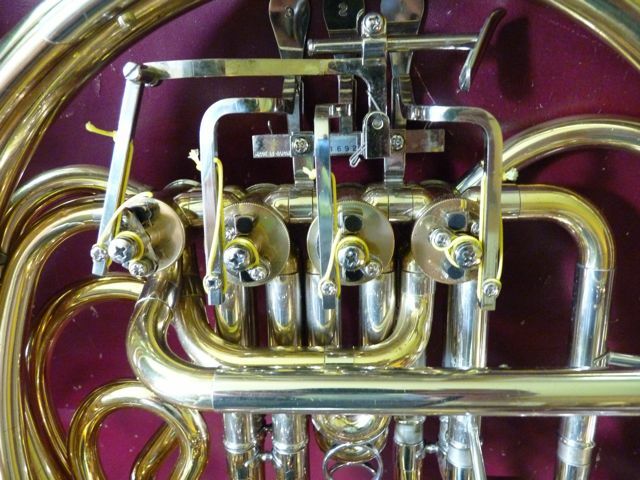 Your embouchure and body architecture seems askew and you’re at odds with section mates. 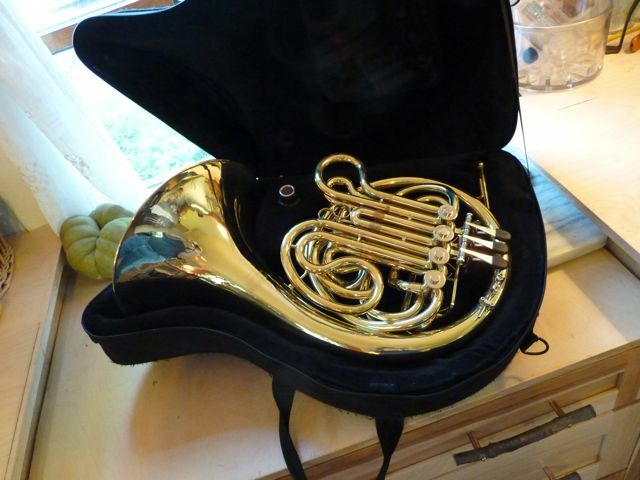 It is a testimony to our instrument that folks will go to reversals to allow them to continue to play. 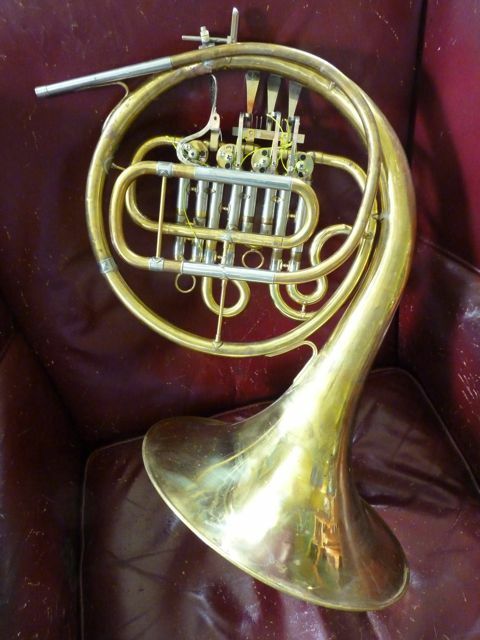 Very rare original King Model 1155 Bb horn w/ F extension. Serial #13931X (1925-1930). Silver-plated. Excellent condition. 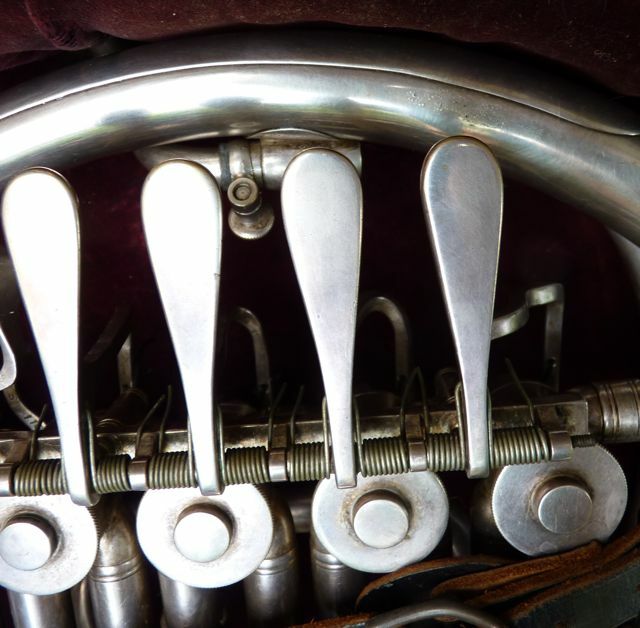 Retractable Schmidt/sansone under leadpipe hand flipper. Minor wear to plate in bell flare. 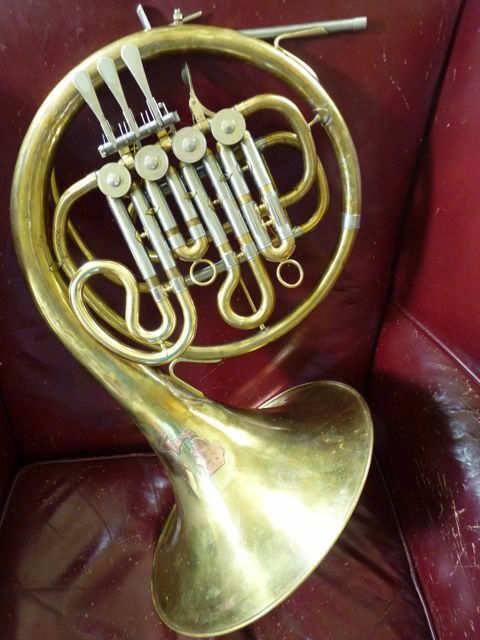 It comes with a king Eb crook which would make the horn a Ab/Eb extension horn??? 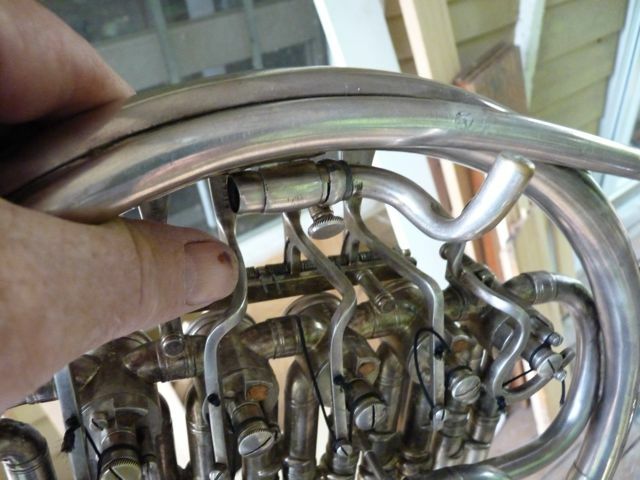 No signs of major repair or soldering. One raised dent on the back bow. 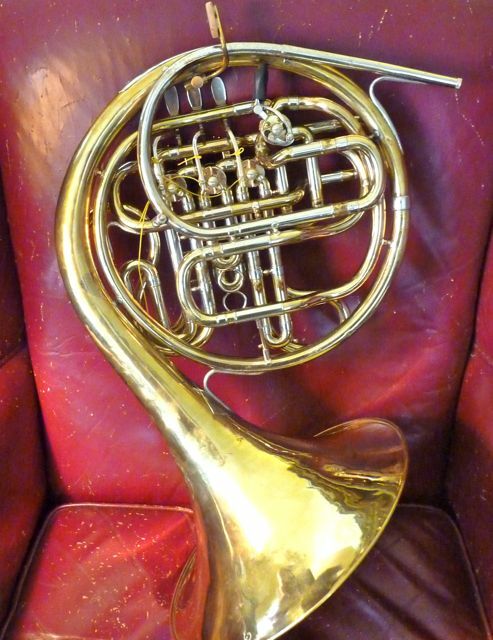 Great old horn. 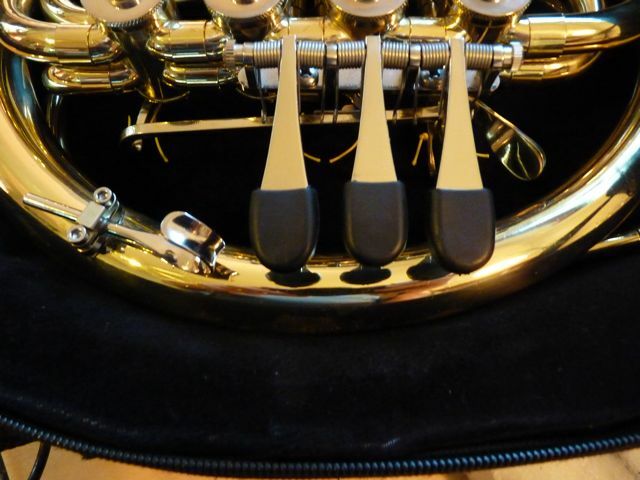 The pinky valve operates the F extension; the thumb valve is the stop/A valve. Good compression, very playable, collectible. Comes in original Black King case, Pre faux alligator. (possibly built by F.A. Reynolds, who made cases at king early in his career.) Case handle is a homemade replacement, which works well. 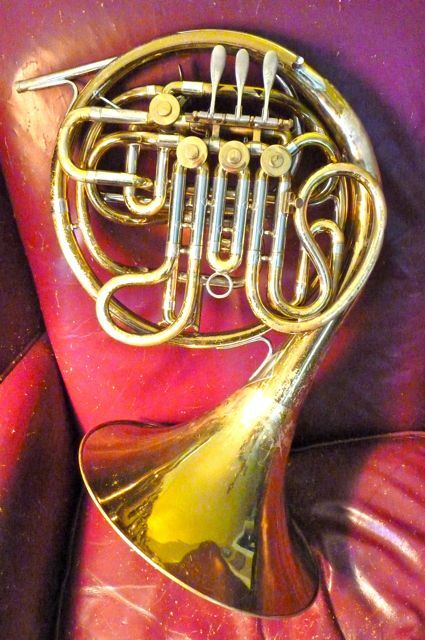 This horn design was also built by Geyer. I don’t know who was the chicken and who was the egg. Email questions. Other pix available. Cannot be shipped using normal post office to countries with the 2m girth + one length countries. It can be shipped at a higher rate, via post Fed EX, UPS, etc. but expensive. A 3/4 sized Geyer wrap horn, recently taken in trade from a growing young man. 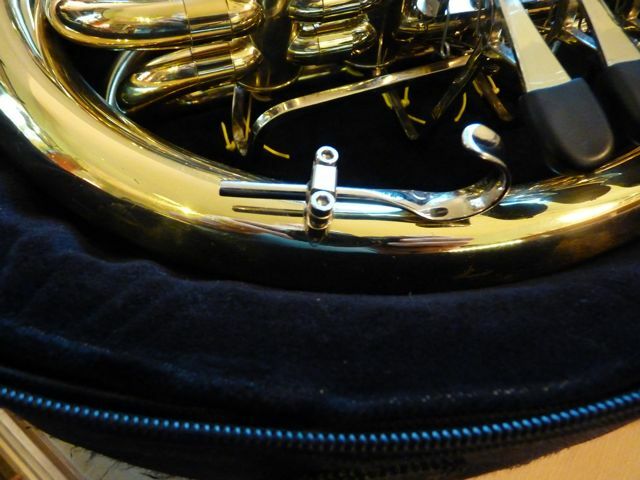 This horn speaks easily, well notched and is a surprisingly neat horn to play. The wrap is tighter than a full sized horn, the weight is about the same, It’s the same amount of tubing ad a full-sized double, just wrapped tighter. 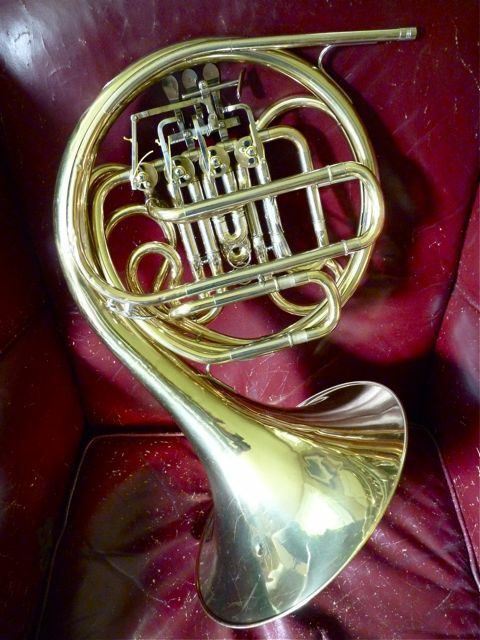 An ideal horn for a young player or small stature. Just given a complete cleaning and adjustment. More pix available, ask questions. 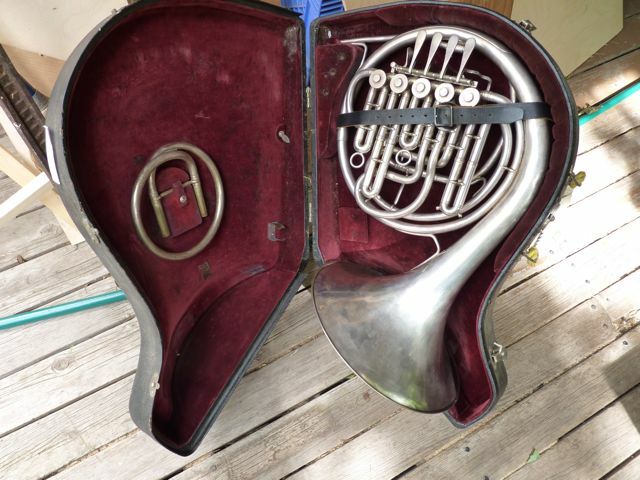 Extras Included: Factory fitted light weight fabric covered solid case. 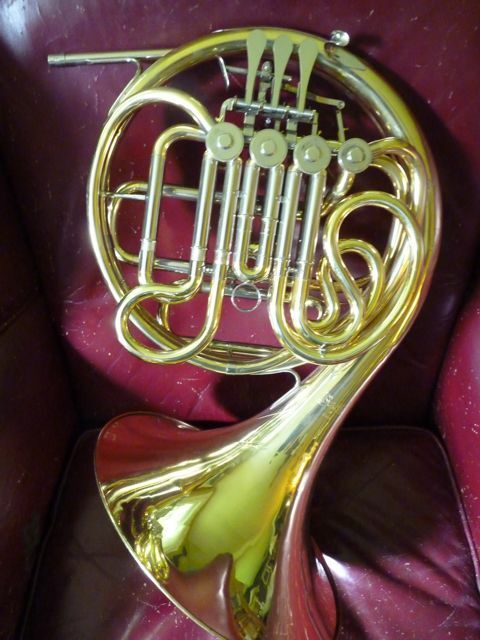 Reynolds “pottag” style double horn. custom features, Plays VERY well. 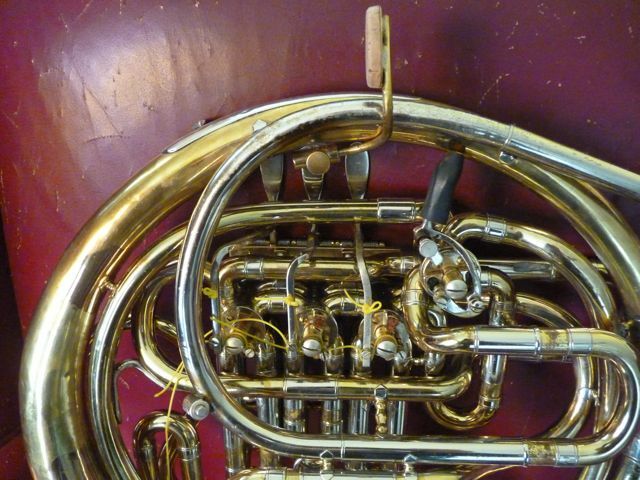 a cool old horn (late ’40’s) Small patch on bell done with a Michigan badge. factory case. more stuff on the bench, ask…..The kitchen is almost done…..